It's been brewing for a while now, there's been chatter on the social media, whispers have been doing the rounds....The Old Fashioned Way has moved to London!....well, that's to say, I've moved to London with boxes of sewing equipment, patterns, fabric and my two cats tucked under my arm and I'm on the lookout to teach people to sew again. 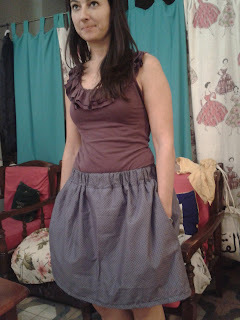 Don't get me wrong, sewing by yourself is all good and well (actually it's way better than that, it's frickin' amazing! ), but sewing with others, teaching others to sew and helping others make something they are so proud well that's just bloody brilliant fun. So here I go, launching myself in once more and aiming to get as many Londoners, who aren't already, making their own clothes. This class is perfect for those with no sewing experience at all or those who want to refresh skills they may have forgotten from GCSE textiles! Come and make your own tote bag. Learn how to set up and use the sewing machine. 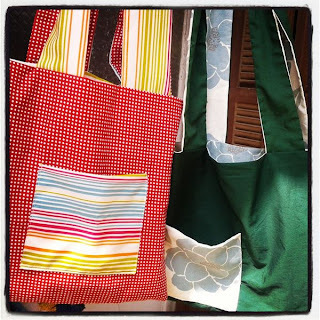 Already used a sewing machine for simple projects or been to my beginner class? This class will take you to the next level and teach you to make simple clothes- you can choose from an elasticated waist skirt or a pair of PJ bottoms. Feel ready to tackle the world of clothes sewing but don't know how to understand a sewing pattern. This class will teach you how to understand patterns and guide you through making a fitted top with sleeves or a simple collar. Making your first piece of clothing can be a daunting task, especially using a commercial pattern. 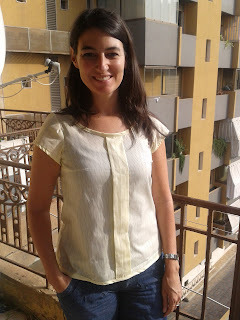 Come and learn how to make a simple fitted top with darts and bias bound finishing and get a taste for sewing your own made to measure clothes. 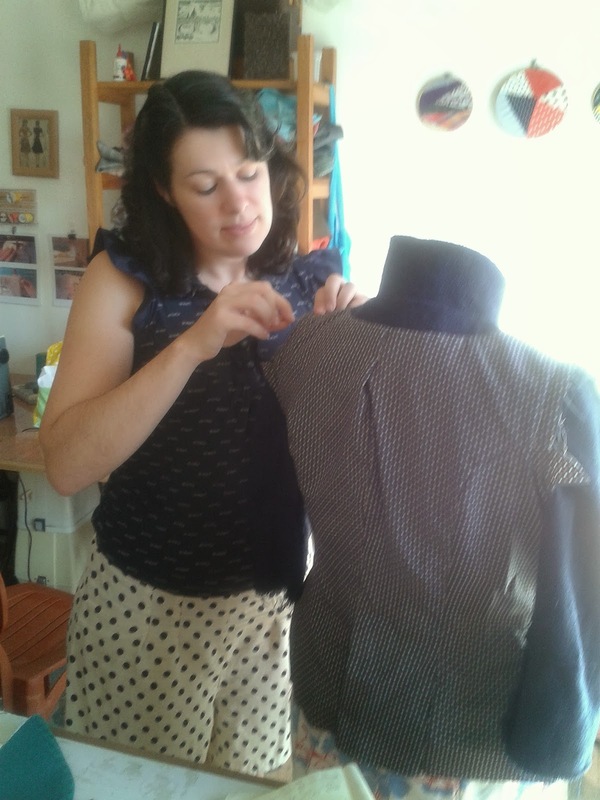 This one day (6 hour) course will introduce you to the basics of pattern reading and simple fitting and you'll go home with a home made top at the end of the day. 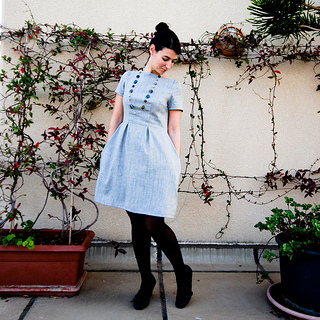 Choose from a variety of simple dress patterns to make a dress over two days. 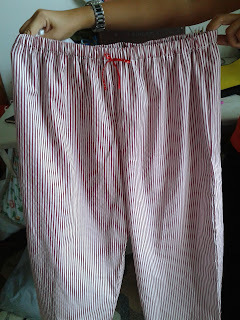 A workshop designed to teach you all the basics of making and fitting a simple pair of trousers. Workshops and dates tbc but during half term. PLEASE EMAIL OLDFASHIONEDWAYBEIRUT@GMAIL.COM OR CALL ON 07979180231 FOR MORE INFO OR TO BOOK. I've had 6 years teaching experience in the British Education system and am a qualified teacher- I'm used to teaching 30 teenagers which means 5 delightful adults with cups of tea and a snagged sewing machine is a dream for me! I'm a pretty good sewist myself, making all mine and my husband's clothes now for the last 2.5 years. I believe that in times of constant invasion of big clothing stores and the fashion industry into our lives it’s time to take people back to a place when we spent time making things we really wanted, and loving the things we carefully made. I started classes with Layla in October 2011 (Oh dear has it been two years now!?) It was the best thing I did for myself. Classes were small, which meant you got to ask all the questions you wanted and had Layla help you when you needed it. They were also diverse so I've made totes, many dresses (they are my favorite), a pair of shorts, a thick winter coat and a men's shirt for the beau. We went fabric shopping for class, learned sewing tricks, and ate lots of yummy baked stuff while hanging out with Layla's adorable felines. Because of the classes, I've felt confident enough to purchase my own sewing machine last year and try as much as I can not to buy clothes. The only downside (?) is that I've grown an addict to buying fabric. I can keep going on and on... bla bla bla. Basically, take Layla's classes. At least book one to get a feel for it. I'm SURE you'll be coming back for more! I'm not that newbie in this field, it just that I don't have enough time to deal with it anymore which is the reason why I lost and forgot every steps and techniques that I used before, I miss those days, well maybe next year I'll look forward to have a time for it and I think I'll start it with the sewing class again, is this still on going?